The ancestors of Australia's oldest human, the Mungo Man, and the traditional owners of the Willandra area in which his remains were found over 40 years ago, are on a journey to return the remains to country at Lake Mungo in southwestern New South Wales. 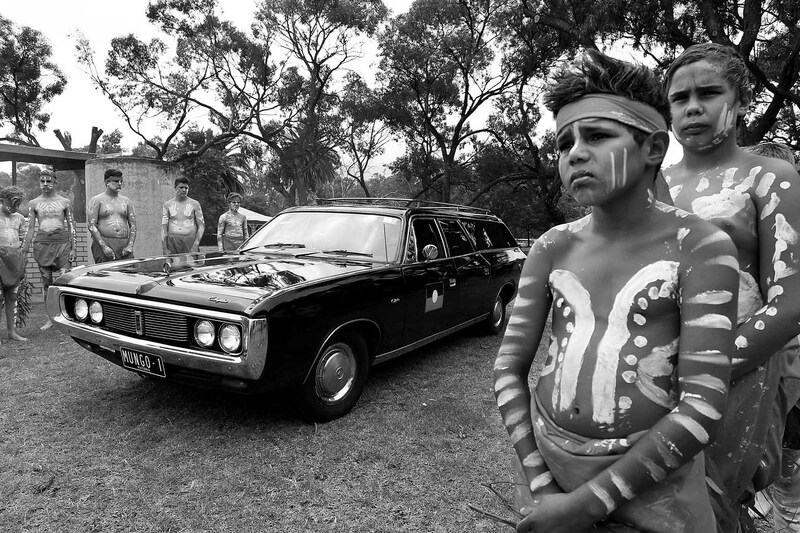 The Mungo Man and 100 ancestors are being carried in an restored Aboriginal 'hearse' used in the 1970's and 80's and making long journey from the Australian National University in Canberra, to their final resting place with stops in Wagga Wagga, Hay and Balranald where traditional owners will hold ceremonies and pay respects. The decision to move the remains to the ANU in 1974 was unpopular with the Muthi Muthi, the Ngiyampaa and the Paakantyi people, the traditional owners and ancestors, who fought for 40 years until a decision was made in 2015 to repatriate the remains.